Have you ever figuratively or literally kicked yourself for not taking advantage of an opportunity to get in early on something good? Like buying Google stock in 2004 at $85 a share. In case you are dwelling under a rock somewhere, the current price is $523 a share as of this blog post. That early market purchase would have delivered a hefty return. As a marketing and relationship building professional, I’m prohibited by law from doing math, so I’ll leave that to the experts, but I think you get my point. Getting in on the ground floor of something big requires some luck and a little bit of courage. 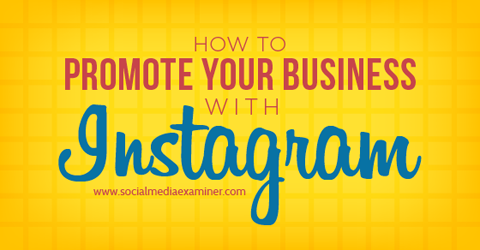 It’s no secret that Instagram is coming on strong as the social media channel to promote your business. Now is the time to get in on the ground floor of growing your business with this channel. Yes, some companies have already done well with it, but it is my opinion is that a big growth wave is coming. So, what steps do you take to earn the benefits as an early Instagram adopter? The answer may #surprise you. Thought hashtags were so 2012? While this social media channel figures out its revenue model, there’s no penalty for using multiple hashtags in a post – up to a maximum of 30. Which is not the case for Twitter. Max Woolf studied 120,000 photos and likes on Instagram and discovered that using more hashtags actually does correlate to more reach and likes. So, spamming is good?!?! Well, not exactly. Spamming isn’t considerate of others and tends to annoy people. But using many applicable-to-your-post hashtags on this social channel may be worthwhile. Instagram allows up to 30 hashtags and it’s unclear how many is too many. My advice? Test what works best for your business and use keywords efficiently and liberally. Long tail keywords tend to be the best. In her post “How to Promote Your Business on Instagram“, Danielle Prager talks about collaborating with social media influencers. “As a small business, you should actively research which Instagram influencers are a great fit for your products. Chances are, their followers have the same interests and are potential customers”, Danielle says. Have some fun brainstorming about partnership and collaboration ideas. Are there influencers who could benefit from your service or product? Could the followers of those influencers benefit from what you offer? If not, there may still be a way to nurture a relationship with them. You may be creating content for your own marketing that could be very useful to a potential social media partner. Here’s an example. I have a client who films weddings and is looking to build his referral business with venues and event planners.These businesses want to show the world how beautiful their events are and many of them have a lot of followers on social channels. My client is one of the first videographers in his area to use a drone to shoot aerial footage. Very few venues and almost no planners have any video of their events on their websites or social accounts and even fewer have aerial video. This videographer uses drone footage he often, already has to help his prospects market their businesses. They are blown away by the gorgeous video they have and are extremely appreciative of the wedding filmer’s generous gift. Relationship nurturing is easy when we help others achieve their goals. He has a library of drone stunning video from several weddings at a wide variety of venues. We created a business development program for him to reach out to these prospective partners and offer to provide them with this gorgeous aerial video to share across social channels and websites. It gives them a beautiful piece of marketing and sales content to share, it nurtures the relationship for my client and it cost him nothing. This is all goodness for his brand. Helping his customers grow their digital presence increases the value of his relationship to his customers and prospective customers. Latergra.me and Iconosquare are very helpful tools that make managing your Instagram account easier. Let’s face it – if you’re like most people, you’re busy running your core business and producing and posting social media content can be overwhelming. I’m all for using tools that make creating and publishing marketing content easier. I recommend The Social Media Examiner as an excellent resource. In fact, have a look at their list of the Top 10 Social Media Blogs for 2015. Get the latest articles about social media in your email inbox. Subscribe to the MRW Marketing Blog and stay up to date on the latest digital marketing trends.